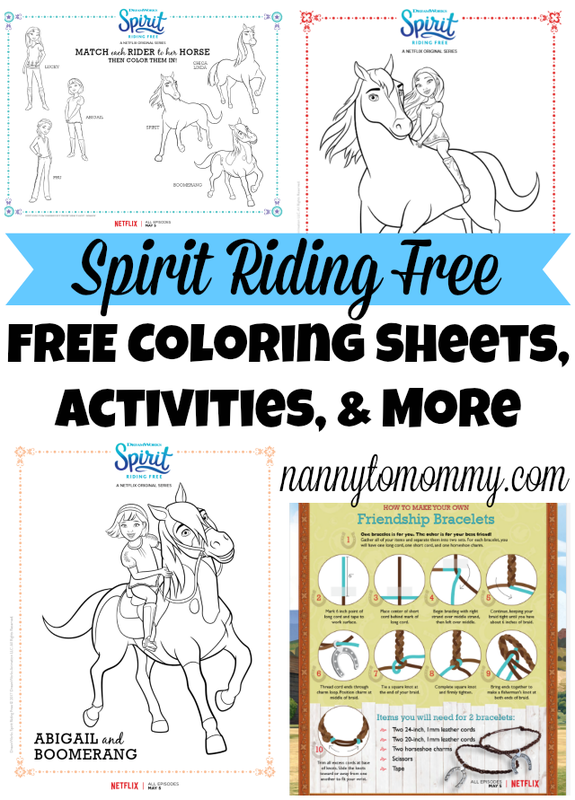 "Spirit Riding Free" from Netflix and DreamWorks Animation | Craft Package with Friendship Bracelets, Picture Frames and More! 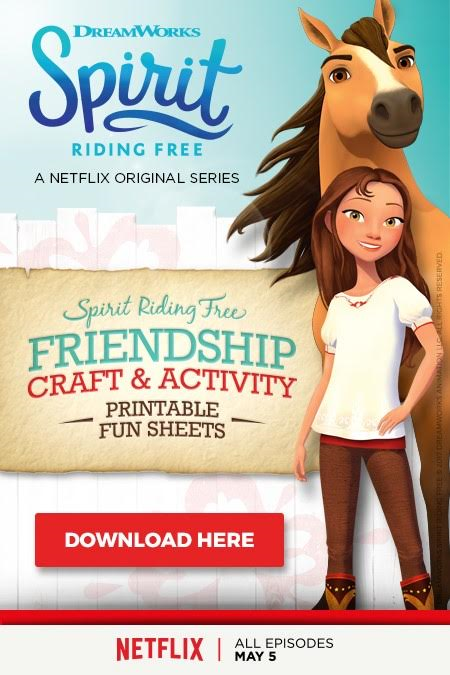 "Hay" there, equestrian enthusiasts, animation aficionados and adventure addicts, have you checked out Spirit Riding Free, available exclusively on Netflix yet? The series, inspired by the Oscar®-nominated film Spirit: Stallion of the Cimarron, follows the heartfelt journey of a gutsy 12-year-old girl named Lucky who befriends a wild mustang whom she aptly names Spirit. With her two best friends (and their horses) by her side, Lucky and her friends explore a world filled with endless rides, magnificent horses and never ending fun! Together they’ll push their own limits, harness the power of friendship and discover what it truly means to be free. 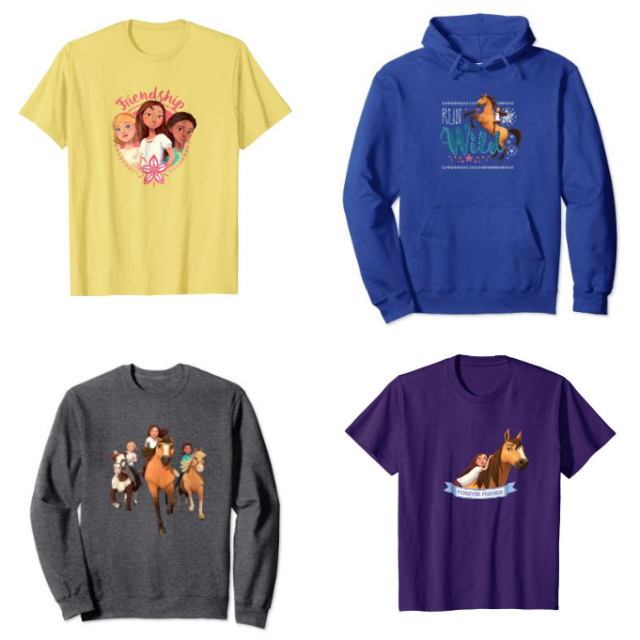 Purchase new "Spirit Riding Free" clothing from Amazon now! This show is so cute! My cousin loves it! Awesome stuff for the kids for sure. My nieces will like them. These are really cool. Perfect for the kids too. Such a cute show! Kids love them. My 11 year old granddaughter loves this show! I will print her the sheets. Thank you! Great show the kids love it. My granddaughter would love to color theses sheets. Thanks! My niece loves horses so she will like these. Thanks. My grandson will love these. He love to color and he loves horses. The movie looks really cute and so are the activity sheets. Thank you for sharing. Thanks for the downloads. My granddaughters love this show and have asked for all of the toys /dolls of the show Lucky. This will be a great way to distract them in these last week before Christmas.